Pumpkins contain a lot of fiber, antioxidants, vitamins, and minerals. Their rich content makes them highly nutritious food with many health benefits. Moreover, pumpkin seeds possess healthy oils, phytoestrogens, and tryptophan that benefits our heart health, sleep, and immunity. They are especially known for their ability to reduce blood pressure and decrease the risk of heart disease. Their tryptophan content helps our body to regulate sleeping cycles. Furthermore, studies have shown that pumpkin seeds have the ability to protect the prostate and prevent its unhealthy growth. Experts believe that the antioxidants and beta-carotene are these beneficial factors that can explain the positive effects on male sexual health. On the other hand, pumpkins are very effective when it comes to digestion and weight loss. Namely, they contain a huge amount of fiber that regulates digestion and keeps us fuller for a longer period. 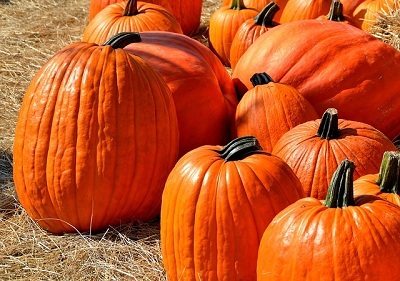 Interestingly, pumpkins are also known as effective in removing intestinal worms and parasites from our bodies. Ancient people use this extraordinary food to heal a body of parasites. Surprisingly, fitness experts found pumpkin more beneficial than bananas. Namely, this amazing food has 564 milligrams of potassium, outreaches bananas that possess only 422 milligrams. To find out more about health benefits of pumpkin, the article “Top 11 Science-Based Health Benefits of Pumpkin Seeds” gives us the following list. If we want to utilize the very best of pumpkins and experience their huge health benefits, we may consume pumpkin as a single meal, or try to make an interesting receipt that contains this powerful food. We may prepare beautiful soup, extraordinary desert, salad, and a tasty pie. Nutritional experts advise us to use a fresh pumpkin only and then prepare what resonates the best with us. According to them, a canned version of pumpkin is not that healthy. It usually contains added sugar and chemicals that may significantly reduce the health benefits of pumpkin. Next story How to Enjoy Life More?